Thisstory was updated at 12:10 p.m. ET. Aprolific NASA space telescope that is mapping the entire sky has run out ofvital coolant needed to keep its detectors from warming up, but that hasn'tstopped its mission to seek out hidden asteroids, comets and other objects. NASA'sWide-field InfraredSurvey Explorer,or WISE, is turning its camera eye on asteroids and comets within our solarsystem as part of its new NEOWISE Post-Cryogenic Mission. It allows the spacetelescope to continue scanning the cosmos despite the lack of frozen hydrogenonboard to keep its infrared detectors as cold as designed. Thenew NEOWISE mission, which takes its name from the near-Earth objects the telescope willhunt, is expected to last at least one month, and possibly as long as fourmonths, NASA officials said. Todate, the WISE telescope has discovered 19 comets and more than 33,500asteroids, including 120 near-Earth objects, which are objects with orbits thatpass relatively close to Earth's own orbit around the sun. The spaceobservatory has taken about 1.8 million images of the sky using its main16-inch (40-cm) telescope and four infrared detectors. NASAlaunched the WISE telescope in December 2009 on a 10-month mission tocompletely map the entire sky. So far, it has mapped the sky 1 1/2 times. Inaddition to asteroids and comets, the telescope observed odd cold stars calledbrown dwarfs, as well as hidden galaxies that are dark in visible light but shine bright in theinfraredrange of the light spectrum. "WISEhas provided a guidebook to the universe with thousands of targets worthviewing with a large telescope," said WISE principal investigator EdwardWright of the University of California, Los Angeles. "We're working onfiguring out just how far away the brown dwarfs are, and how luminous thegalaxies are." Thelonger mission is a big win for WISE telescope scientists. InMay, a NASA advisory panel recommended against extending the spacetelescope's missiononce its supply of hydrogen coolant ran dry. Atthe time, NASA's 2010 Astrophysics Senior Review Committee said there was notadequate scientific justification to continue the mission. That proposedthree-month extension would have added $6.5 million to the telescope's $320million mission price tag. NASAspokesperson J.D. Harrington told SPACE.com that after the WISE telescope'scoolant ran out late last week, the space agency's planetary division decided tofund an extended mission to continue the search for near-Earth asteroids. Themission extension will cost about $400,000 for one month. "Atthe end of that month, the collected data will be analyzed and a decision madeas to whether it justifies extending the mission another three months,"Harrington said in an e-mail. "The possible four-month extension is whatit would take to complete one full scan of the solar system." TheNEOWISE mission is expected seek out more than nearby asteroids and comets. 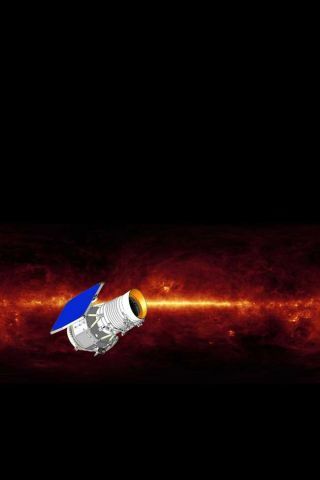 Theextended mission should also allow the telescope to study the closest browndwarfs to the sun, as well as revisit previous targets to see how they've movedsince they were first spotted. Thescience results from the first half of the WISE telescope's sky survey will bereleased in spring 2011, NASA officials said. "Thescience data collected by WISE will be used by the scientific community fordecades," said Jaya Bajpayee, NASA's WISE program executive at theagency's headquarters in Washington. "It will also provide a sky map forfuture observatories like NASA's James Webb Space Telescope."